If you are looking for a reliable and professional dental office that you can trust, look no further. Since my first appointment, I was confident that I was at the best in town. The amazing front office team makes setting appointments and billing as easy and painless as the dentists make the procedures. 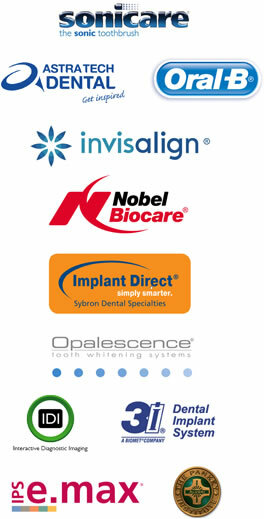 The hygienists and assistants are professional, knowledgeable and caring. The doctors are compassionate, gentle and go out of their way to help you understand your dental health. As crazy as it sounds, I actually look forward to going to the dentist now, which is a lot less often now that Doctors Thomas and Roskos are in my corner. I won't trust my smile to anyone else. The team at Thomas and Roskos are amazing! From the front desk all the way to the back, everyone is kind, energetic, and talented! I have had some intense dental work done, and have been blessed to have such a kind group of people behind me in my journey. I get compliments on my teeth on a regular basis, and I owe that completely to Dr. Roskos…when anyone compliments me, I tell them that I owe it all to my dentist! Thank you Dr. Roskos. You are my dentist and my friend. Thank you for making me feel pretty. I have been a patient of Dr.s Thomas and Roskos for the past 30 years. Both doctors are true visionaries! I have always taken comfort in their experience and knowledge of all the latest and greatest techniques. The doctors and their staff deeply care for their patients and it shows. I feel like I am part of the family when I am there. I am constantly referring my friends and family to them and have never heard anything but great things. I wouldn’t go anywhere else!